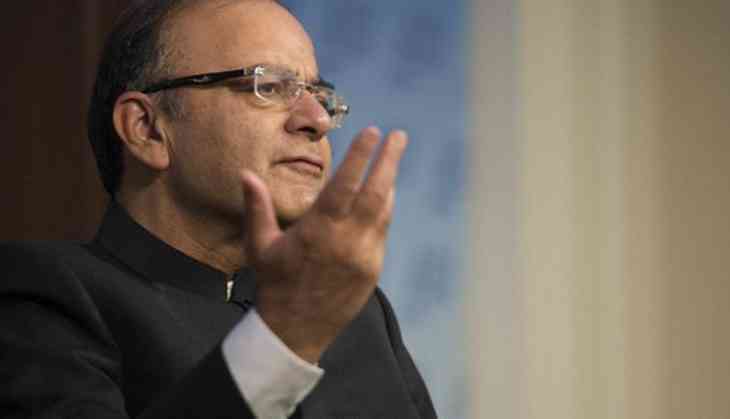 Will Finance Minister Arun Jaitley fall ill tomorrow? This was an intriguing question posed by senior Congress leader Jairam Ramesh in Rajya Sabha after a discussion on biometric identification Aadhaar, listed for Wednesday, was put off. Ramesh said members had two days back got an official notice from the Rajya Sabha secretariat on a discussion being listed on Aadhaar on Wednesday. However, this morning another notice came saying the discussion has been postponed. When he inquired the reasons for postponement, 'I was informed that the Finance Minister is unwell' and will not be available to reply to the discussion tomorrow. He however said Jaitley, who was sitting in the House, looked hail and hearty and sought to know why was the debate postponed. 'Will he be unwell tomorrow,' Ramesh asked much to the amusement of the members. Jaitley, who had yesterday taken ill and not attended Parliament, did not respond to Ramesh. Finance Minister had returned home soon after the Cabinet meeting yesterday morning cleared four legislations for Goods and Service Tax (GST) implementation. He was to reply to discussion on Budget in Rajya Sabha yesterday but that did not take place. He was however present in the House since morning. Minister of State for Parliamentary Affairs Mukhtar Abbas Naqvi got to up say something but sat down without saying anything.